Do we need “snow” to cerebrate Christmas in December? 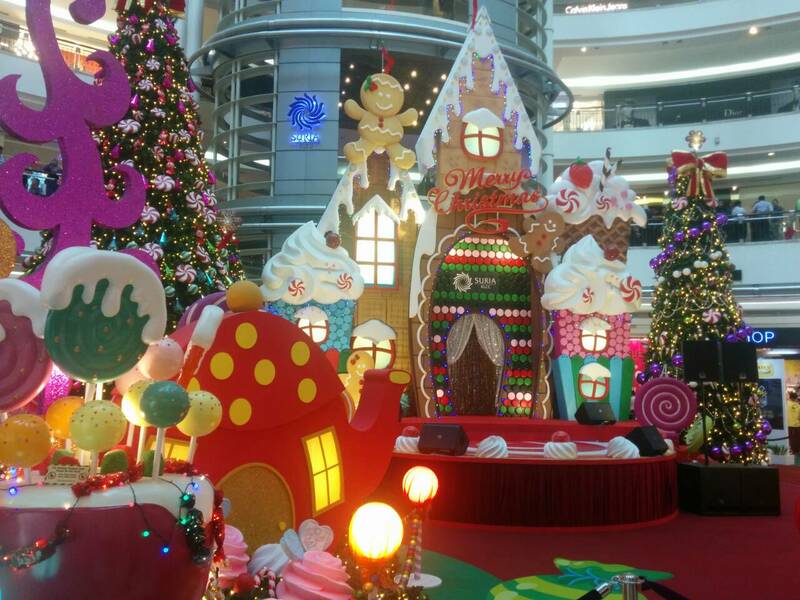 There are many Christmas trees in shopping malls. It makes us a little happier. Children must expect big presents at Christmas eve. I am also waiting for my presents, although I do not know where my Santa Claus is now. This is the second time when I live in KL at the time of Christmas. Then I feel a little strange because it is hot at the time of the Christmas season in KL. In Japan, it is cold and it has sometimes massive snow in December. Whenever I saw Christmas trees in Japan, it was always cold. But now it is hot in KL! I think most of Asean countries have no snow so there are few opportunities where we can feel “snow”. The picture above is taken in KL. On the roof of the house, there is snow. But I do not see snow on the trees. White balls look just decorations for me. It must be OK as there is no snow in KL. On the other hand, this picture below is taken in Japan. 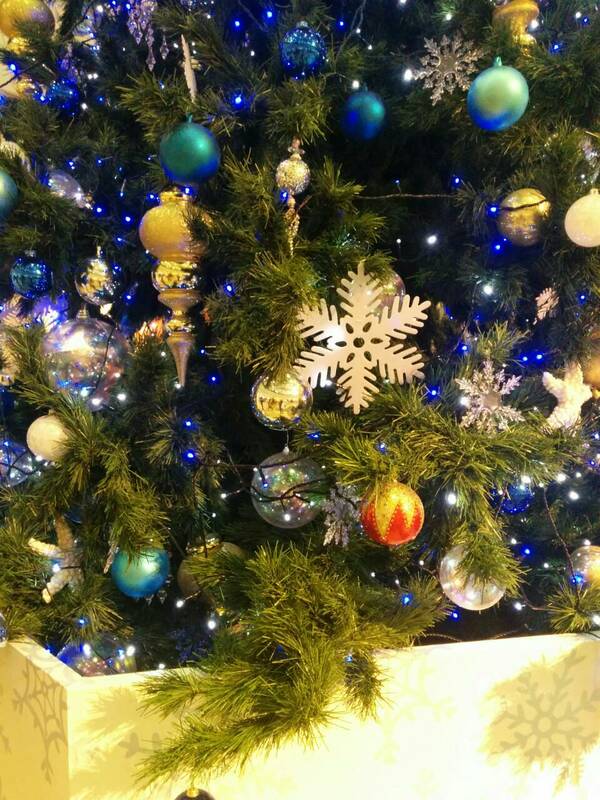 There are many symbols of snow on the Christmas trees. Some of you have been to Hokkaido, the north part of Japan to enjoy snow in winter. The whole land is sometimes covered with “snow” there in winter. So everything looks white and it is very quiet, no sound is heard because noises are absorbed by thick snow on the ground. In a such case, Christmas trees must have “snow” on them. So it may be different, location by location. I do not have any statistics of ” how many trees have ‘snow” on them in shopping malls all over the world”. But it is interesting for me because it tells us how weather and climate affect our behaviors. Because Japan has four seasons (spring, summer, autumn and winter), predictions of its climate are very important for companies as well. Hotter summer means more sales of juice, ice cream and air conditioners, vice versa. If winter is not so cold than usual, sweaters and coats are not selling well. It means less flu so it is good for children and senior people, but it is not so good for the pharmaceutical industry. In this way, weather and climate have huge impacts to our behavior and economy. The data about weather and climate may be relatively unused in companies in order to make business decisions so far. But as we have more data about them and obtain predictions with accuracy, it is worthwhile using data about weather and climate in the businesses now. I would like to take examples of analysis about weather and climate going forward. Anyway, Merry Chirstmas for all of you!